There are (5) awesome calendars, each highlighting a brand under Ginebra San Miguel and showing a different version of Myrtle. All Ginebra San Miguel brands are featured in one calendar where Myrtle is seen as the Boss Lady that she is. She donned the brand’s iconic angel costume for Ginebra San Miguel. For GSM Blue, she executed an out of this world look in a cyber chic outfit. She then channels an illusionist persona for Primera Light Brandy, while she transformed into a forest enchantress for Vino Kulafu. Myrtle is the perfect mix of everything GSM Blue stands for - young, adventurous, passionate and innovative. She is living an epic life that is not defined by one thing and she is most certainly not afraid to mix things up — —Yup, that is the impression Myrtle exemplifies which made the brand chose her as the perfect face of GSM Blue and its new campaign called, Mix for More. As explained by GSM Blue Brand Manager, Winchie Tobias, "the campaign reflects the millennials’ insatiable thirst to explore and their longing for fruitful passion. " Tobias further explained that " for this age group, it’s all about immersion to create a better version of a moment. " 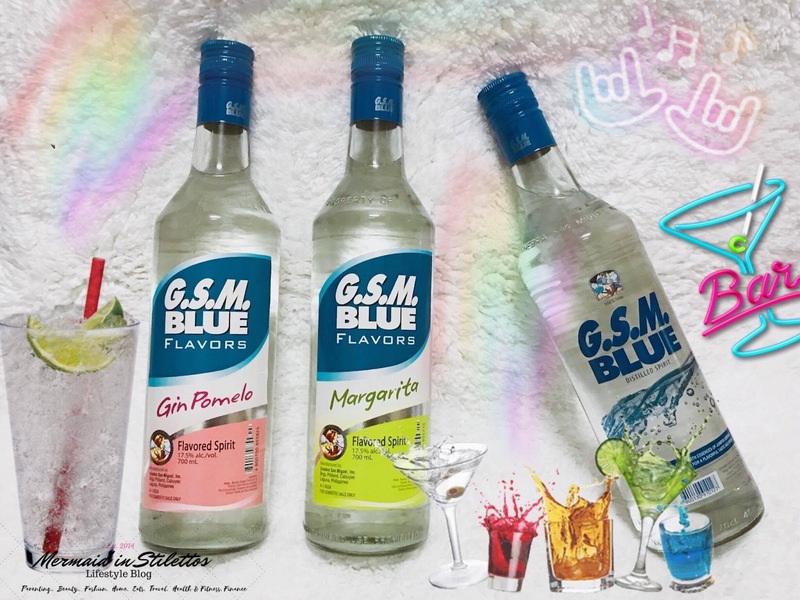 To top it off, two new GSM Blue Flavors – Margarita and Gin Pomelo were also launched. GSM Blue in Margarita combines the tang of lime, sweetness of orange liqueur with lime and distinctive strength of tequila flavor. While GSM Blue Flavors Gin Pomelo, is based on the original Pinoy concoction widely known as "Ginpom". It complements the taste palate of the Filipino thus became popular and widely associated with gin. It became a hit in the 90's when a popular juice brand launched litro packs of pomelo juice. GSM Blue Flavors has a light alcohol content of 35 proof. It is available in a 700ml bottle and was released already in 7-11 stores last November 8, 2017. These new flavors give just the right options for those who are just chilling at home or partying with friends. You may check more photos of the event here.